SYNOPSIS: "One of the queens of historical fiction" offers a new take on the mesmerizing young woman and poetess who inspired Shakespeare's most famous female character. SYNOPSIS: From Jeanne Kalogridis, the bestselling author of I, Mona Lisa andThe Borgia Bride, comes a new novel that tells the passionate story of a queen who loved not wisely . . . but all too well. 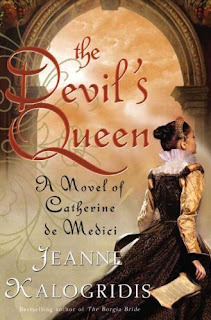 Overshadowed by her husband’s mistress, the gorgeous, conniving Diane de Poitiers, and unable to bear children, Catherine resorted to the dark arts of sorcery to win Henry’s love and enhance her fertility—for which she would pay a price. Against the lavish and decadent backdrop of the French court, and Catherine’s blood-soaked visions of the future, Kalogridis reveals the great love and desire Catherine bore for her husband, Henry, and her stark determination to keep her sons on the throne. SYNOPSIS: From the author of Company of Liars, hailed as “a jewel of a medieval mystery”* and “an atmospheric tale of treachery and magic,”** comes a magnificent new novel of an embattled village and a group of courageous women who are set on a collision course—in an unforgettable storm of secrets, lust, and rage. England, 1321. The tiny village of Ulewic teeters between survival and destruction, faith and doubt, God and demons. 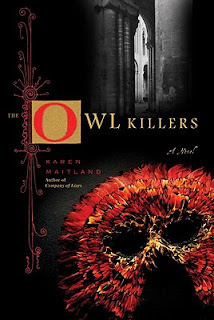 For shadowing the villagers’ lives are men cloaked in masks and secrecy, ruling with violence, intimidation, and terrifying fiery rites: the Owl Masters. But another force is touching Ulewic—a newly formed community built and served only by women. Called a beguinage, it is a safe harbor of service and faith in defiance of the all-powerful Church. Behind the walls of this sanctuary, women have gathered from all walks of life: a skilled physician, a towering former prostitute, a cook, a local convert. But life in Ulewic is growing more dangerous with each passing day. The women are the subject of rumors, envy, scorn, and fury…until the daughter of Ulewic’s most powerful man is cast out of her home and accepted into the beguinage—and battle lines are drawn. Into this drama are swept innocents and conspirators: a parish priest trying to save himself from his own sins…a village teenager, pregnant and terrified…a woman once on the verge of sainthood, now cast out of the Church.…With Ulewic ravaged by flood and disease, and with villagers driven by fear, a secret inside the beguinage will draw the desperate and the depraved—until masks are dropped, faith is tested…and every lie is exposed. Thanks as ALWAYS for adding to my wish list. I want to read all of those! Great list. I have The Devil's Queen and can't wait to get started on that one. O, Juliet sure looks good--I haven't read anything by Maxwell yet. Enjoy your new books! I want to read The Devil's Queen! Currently enjoying O'Juliet! Everything sounds SO wonderful and intriguing! Oh, that there were enough hours in a day to get to read for pleasure as well as for research!